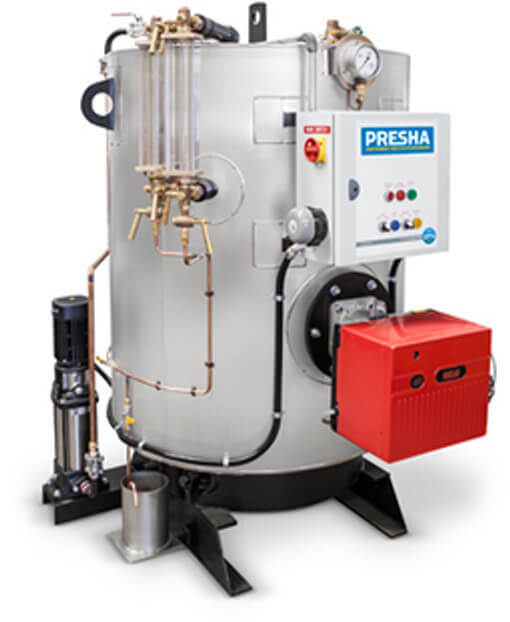 PRESHA offer a range of vertical ‘unattended’ steam boilers built by Consolidated Fire and Steam Pty Ltd. They offer the best technology and materials to meet all Australian Standards. As original manufacturers we offer options to meet our customer’s requirements, factory fitted and tested. Australian designed and Australian made, our guarantee of quality against the ever increasing number of small imported steam boilers. Vertical tubeless boilers are offered in 7 sizes from 100KW (10HP) to 500KW (50HP). 75 mm rock wool Insulation. Four gas passes, the burner fires into the furnace that is completely surrounded by water. Gases leaving the furnace are then divided and travel through individual fin passages. Hot gases passes heat evenly through the fins and the boiler shell. Large furnace to allow complete combustion, forcing the hot gas down, enhancing circulation with in the boiler. No refractory complemented by a wet back style furnace ensures high gas to steam efficiency. Fast heat up time from cold. Large steam storage and steam surface area. The large steam surface area allows for a steady controlled steam release rate. Offers dryer steam and reduces carry over, this reduces maintenance down stream. Vertical Tubeless Boilers are offered as a skid mount packaged boiler and are factory fitted out and tested prior to delivery to site. 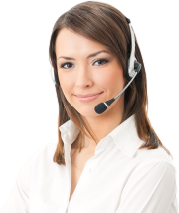 This minimizes installation time and commissioning time. Vertical Tubeless Boilers are fitted with Grundfos pumps as standard. Safety valve will have stainless steel trim. Gas Burner will be fitted with an air to gas ratio controller. This provides for rapid response and quick recovery to load changes. Maintenance, the design of 4 small hand hole inspection openings at the bottom allows for complete and easy cleaning and inspection. The single top inspection opening allows for a complete inspection of the top of the furnace and the steam drum. No heavy lifting or confined space problems. Electrical controls on the Vertical Tubeless Boiler are high quality and are all of the shelf items, allowing for easy repairs if an item fails.